When we dare to lead, we don’t pretend to have the right answers; we stay curious and ask the right questions. We don’t see power as finite and hoard it; we know that power becomes infinite when we share it with others. We don’t avoid difficult conversations and situations; we lean into vulnerability when it's necessary to do good work. 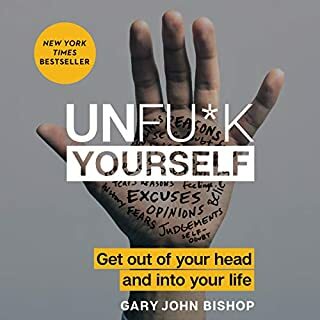 Halfway through listening this book I stopped it. 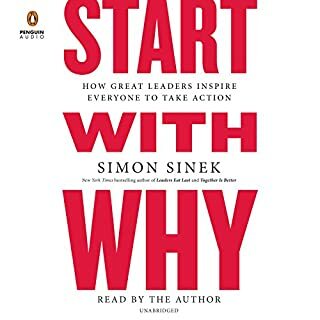 Although the book may have some points on leadership it fails to connect with the readers especially knowing that the author herself narrates the book. Almost every one in five sentences is self promoting. 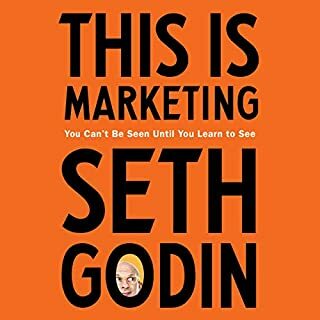 The author goes on and on about how great her approach is and how many thousands of people from different background have enjoyed her seminars. The ideas presented in this book are not new either. Most of it are common sense. How To Win Friends and Influence People by Dale Carnegie written 80 years ago covers is far better a book on leadership. 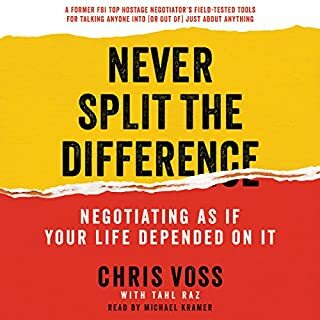 I enjoyed this book- it was a good length to remain interesting for its duration and provided practical tools for leading in the workplace. Most of the examples were workplace-centric but could still be applied to other situations in life. I would recommend using the online guide. Lots of great material to take in. Lessons that can be applied immediately. Brene has an incredible gift & I'm grateful she's brave enough to share it! Dare to Lead has offered me new ways to look at myself, my family - my life. I'm choosing to step out of my armour and into my heart with the tools that I've learned through this wonderful book. I learned from some of her experiences. will download the material she referred to in the book. dare to lead... A must read for anyone... Fun! do it! Read this Book Excellent. a Must Read for Everyone. Yes. Honest earnest worthy witty fun spunky of value righteous living. loved this so much, I'll probably have to buy the paper copy. I'm a big fan of Brene Brown, and this might be my favorite . She cuts straight to the meat in this book. She still tells stories for context , but gives you the goods asap. She gives real strategies, pragmatic advice and tools to put into play right away. I also found her stories absolutely hilarious!!! 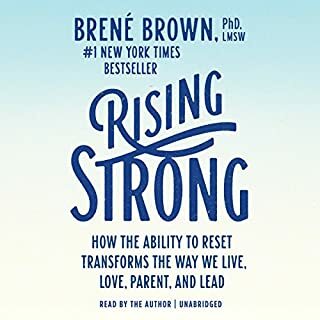 As noted in the heading of this review, Brené Brown's work has literally been life-changing for me. 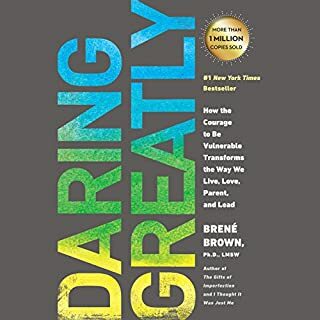 Years ago, my wife was reading "Daring Greatly" and as we were working through some life challenges at the time, she said, "I really think you need to read this book." When she confessed that the author was somebody who researched shame and vulnerability, I was like, "No thanks." I was convinced beyond a shadow of a doubt that I did not need to read about shame and vulnerability. After much coaxing, my wife convinced me to begin reading. As I read "Daring Greatly," I honestly couldn't put it down. I quickly ordered "The Gifts of Imperfection" and read through it the following week. I then went back and read it again, s-l-o-w-l-y. 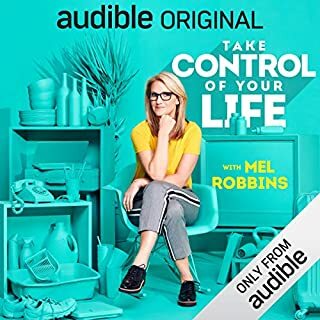 I wanted to absorb some of the principles and practices she communicated, reflect on them, and begin putting some of them into practice myself. As her other books came out, I read through them as well. While I wasn't as drawn to "Rising Strong" or "Braving the Wilderness" as I was to the other two, they still provided me with insights that I have come to really hold onto. Having read, and reread all of her work, I recently had a colleague who came to me and said, "You've really changed a lot over the past few years. What steps have you taken to grow so much?" My answer - "Books by Brené Brown and others ("Emotionally Healthy Spirituality" and "Emotionally Healthy Leadership" by the Scazzero's) have been a Godsend." With Dare to Lead, Brené takes on work-culture. 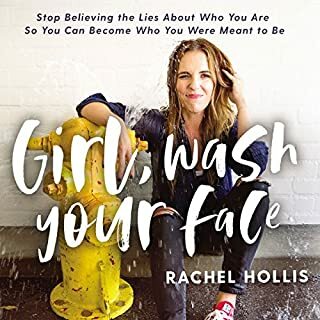 While many of the same principles have been communicated in her other work, I was thrilled to find some of the best material all compiled together in one book. The material available on the Dare to Lead hub on Brené website made it even better. The workbook and other printouts show that her team doesn't just want to get the information out there, they want to get it out there AND see it put into practice. And for good reason - it needs to be put into practice. If you haven't read anything by Brené Brown, this is an excellent start. It's a good summary of some of her former work, and her own narration of the book is exceptional. If you're looking for something outside of work culture, then listen to "The Power of Vulnerability". 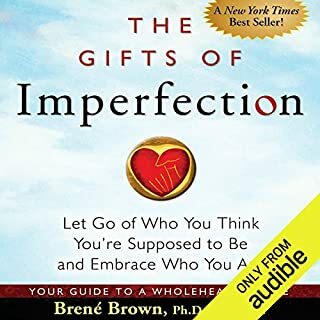 It's 6, roughly 1-hour sessions that walk through most of the principles she wrote out in "The Gifts of Imperfection." And it's gold. Of the many, many non-fiction books I've read over the past 20 years of my life, Brené's books are seriously at the top of my list. She's done very important research on topics nobody else wants to talk about and the results give us input as to why we need to be talking about these things. Seriously, if you're still reading this, pick up Dare to Lead (or Power of Vulnerability) asap. Listen to it more than once. Take notes. Challenge yourself. Put some new skills into practice. It'll change how you see yourself, and how you see others...in the best way possible. 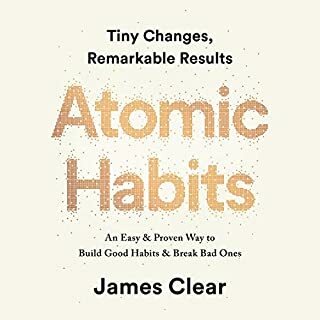 As with any Brene Brown book, this book is full of wisdom and insights. 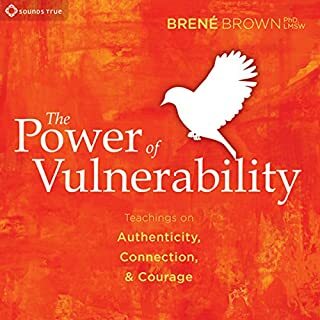 IMO, Brene Brown is one of the most articulate writers and makes complex/ abstract ideas practical and easy to understand, and it really shines in this book. 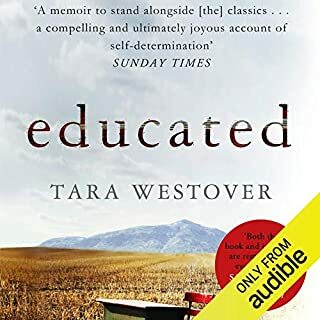 I took off one star because if you have read any of her books before, this one will have a general brush of deja vu, as there is a lot of rehash from her other books. I was mostly disappointed in the last part, which felt pretty much copy and paste from “Rising Strong”. Yes, you've heard parts of this book before, but it's here in a new context. Easy listen, and the best of who Brene is shines through. 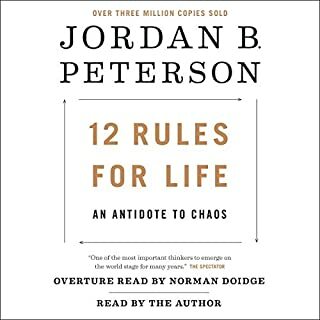 I bought the paper copy after finishing the audiobook and plan on both reading and listening again. The Ham Folderver Debacle alone is worth twice the price of the book. Recommend downloading the (free) workbook from the Dare to Lead hub before beginning, if you don't buy the paper copy. If you've read at least two of Brené Brown's books, then you may balk at some of the material – at first. You've come across this finding or that analysis in "The Gifts of Imperfection," "Daring Greatly," "Rising Strong," or "Braving the Wilderness." You may be tempted to dwell on your reaction, especially in our current TL;DR culture. But don't dismiss "Dare to Lead" on this impulse. 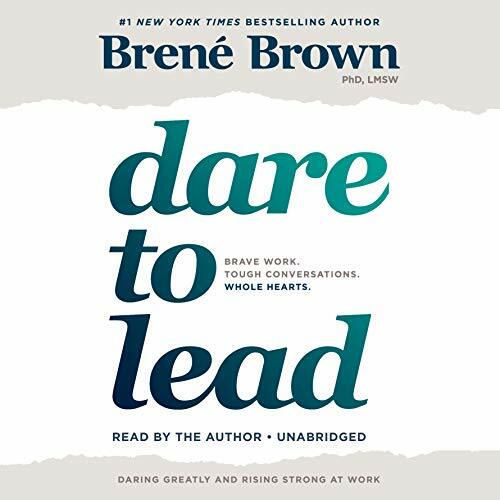 Early on, she acknowledges that "Dare to Lead" includes findings from her other books. She explains that the idea for "Dare to Lead" rose from feedback given by various leaders who wanted an accessible resource dedicated to leadership. And the book accomplishes this with relevant case studies, timely examples, and helpful side-by-side breakdowns of leadership roadblocks and their antidotes. Wisdom is not cultivated overnight; neither are self-acceptance and acceptance of others. The latter dynamic of acceptance of both self and others is what underpins much of what Ms. Brown's research. While it's understandable that many of us who've come across her work may hear echoes or overlaps, it's valuable to revisit what (you think) you know about her research in a new light. After all, it takes repeated exposure of any one thing so we can see from a 360º view, much less heady topics like shame and empathy. In "Dare to Lead," we receive the tools to recognize empowering (professional) leadership and the language to discuss it. You don't have to be in a conventional position of leadership to benefit from this. In fact, it's even more helpful for those of us who are not currently leading a team or organization, or don't have the intention to do so, because we have a bit more distance to see existing toxicity and dysfunction promoted by those at the top. A great team is the sum of everyone and a great leader is actually in service of this sum. "Dare to Lead" is a must-read, or a must-hear in this case, for all professionals. On performance, it doesn't get any better than Brené Brown. She is masterful in bringing life to her words, a captivating storyteller through and through. Same content as all her other books. It would be nice for her to write with new content and new examples. 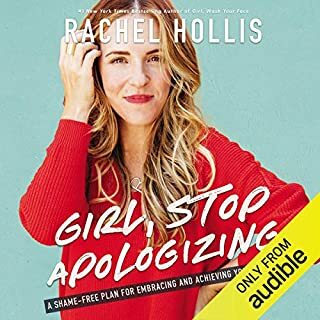 Even if you have read her other books, this book is worth a read or listen. Yes, there is some repetition but it’s stuff most of us could use review on. And if you are in a leadership position, the stories and leadership specific context will be especially helpful. I especially appreciate the audio as Brene is able to not only read with the enthusiasm and talent she shows in her public speaking, but also edits appropriately for audio in certain areas. Also I appreciate that a workbook and other resources are available on her website for items better in print, so while I still my buy the book in print at some point, I do not need to simply to use these items. I was looking forward to this book- having read all of her other books. 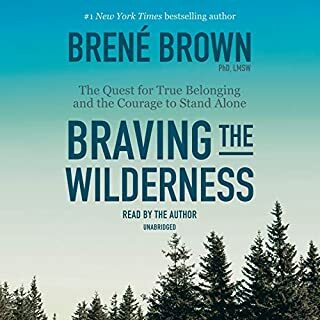 Brene Brown is queen, I mean no disrespect, but this book was disappointing to me. It was incredibly redundant. Most of the stories shared & things shared here I've heard from her before. I wasn't a fan. 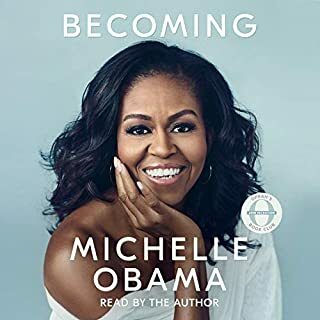 Loved hearing Brené’s authentic voice in this audiobook reading. She is a powerful writer and down-to-earth speaker. 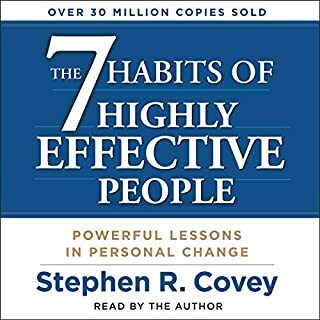 Highly recommend for anyone with a long commute to and from work, as you will get a chance to reflect on and put into practice the skills and exercises in this book in a way that will directly impact your experience at work! 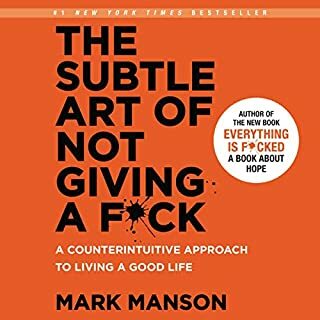 Overrated book. Useless text, no practical info. Waste of time. redundant ideas throughout. I wish if I can return.